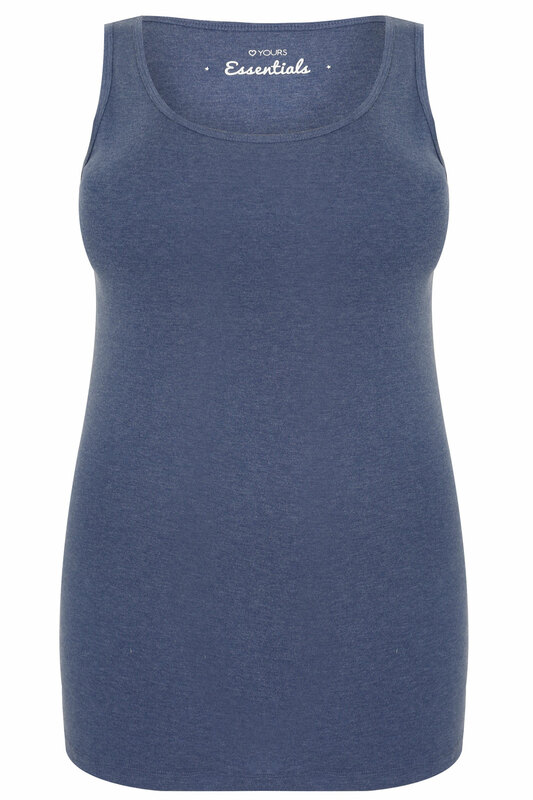 Plus size blue marl cotton vest top with scooped neckline. A great staple item for your wardrobe! 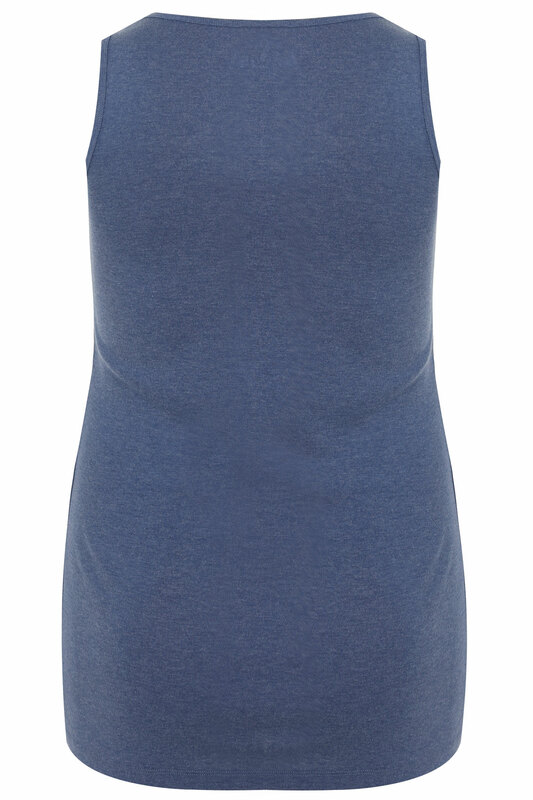 Wear with jeans and a cardigan for a casual weekend look.